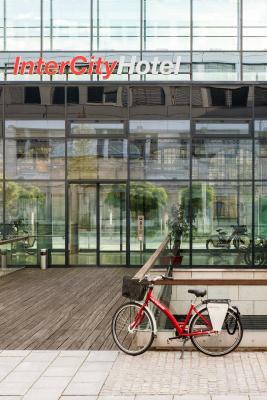 Lock in a great price for IntercityHotel Dresden – rated 8.8 by recent guests! Clean, reasonably diverse breakfast, even the breakfast was extra Euro13 it was a bit hard to see its value. Allowed a 2hour late check-out without charge. Friendly staff, though not always helpful. Great location, just in front the Desdén central station (walking distance). Comfortable rooms and good breakfast. The location, the premises as such, the included ticket for the public transport. The latter one is the major reason for me to book InterCity hotels. This property exceeded our expectations. It is right across from the main train station (go out the door, cross the tram tracks and you're there)! The historic city center is 5-7 minutes away by tram. The staff was super friendly. The rooms were great. Rooms have A/C. Breakfast was nice (I was told that the breakfast room could get overcrowded, but we were there early enough that we had no issues). They have bikes you can use. Our stay came with free transit passes for the two of us for one day (we only stayed one day). I don't remember seeing this on the Booking.com listing, but it was great to have. It's super convenient, train station right across the street, supermarket, cafes in the station, bus station in front of the door. Room very clean, bed sheets texture super comfortable. Clean, comfortable room with a big window. Breakfast buffet was amazing, we didn't even miss the eggs. And we loved the pass for the trams, we used it to get everywhere. Friendly, smiling night staff,even though I arrived at midnight. Great breakfast and the same friendly nightstand wishing me a safe and good journey home . Excellent location, city transportation pass included in room rate, buffet breakfast had a lot of variety, room was clean and beds comfortable. The hotel is right across from the train station. Everything is nearby - transportation, shops and the town center is easy to reach. The room was nicely appointed and quiet. 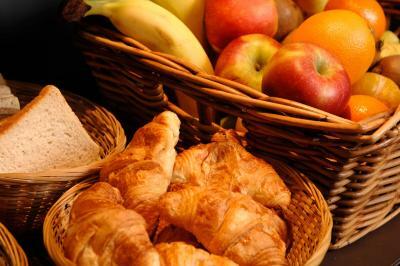 The breakfast buffet was exceptional with hot and cold selections. My wife was impressed that she could get non-gluten bread. Good location, clean room and excellent breakfast. 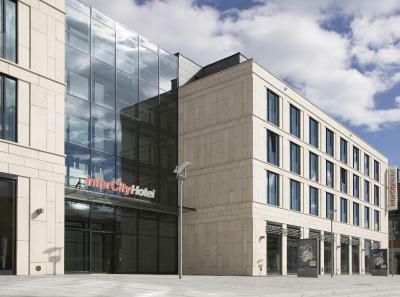 IntercityHotel Dresden This rating is a reflection of how the property compares to the industry standard when it comes to price, facilities and services available. It's based on a self-evaluation by the property. Use this rating to help choose your stay! 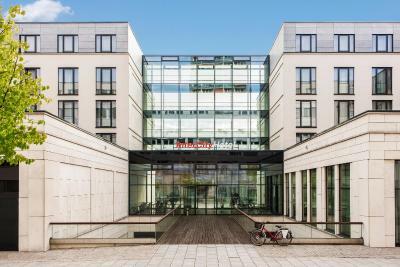 One of our top picks in Dresden.Located directly opposite Dresden Central Station, this hotel offers soundproofed rooms with flat-screen TV, traditional Saxon cuisine, and free Wi-Fi access up to 1 MB/s. Guests enjoy free use of local public transport. The air-conditioned rooms at the IntercityHotel Dresden are decorated in warm, natural tones. All include a mini-bar, desk, and private bathroom with cosmetic mirror. Regional and international specialties are served in the IntercityHotel’s modern restaurant. Fine cocktails are mixed in the stylish bar. The Baroque Old Town district is a 10-minute walk from the IntercityHotel Dresden. The famous Semper Opera House is about 10 minutes away by tram. Seevorstadt is a great choice for travelers interested in art, city trips and history. This is our guests' favorite part of Dresden, according to independent reviews. 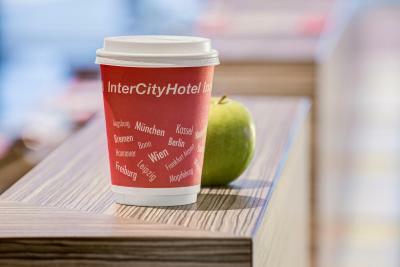 When would you like to stay at IntercityHotel Dresden? Contemporary-style room offering a flat-screen TV, mini-bar and private bathroom with free toiletries and a hairdryer. Included is a ticket offering free public transport. 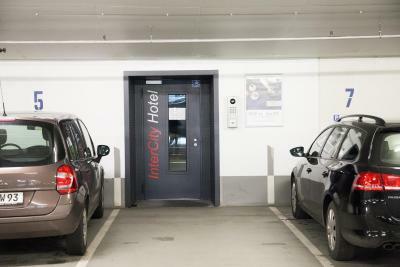 Public parking is available on site (reservation is not needed) and costs EUR 16 per day. This room faces the quiet courtyard. Features a seating area. Please note that the child must be younger than 13 years old. Hotel surroundings – This neighborhood is a great choice for travelers interested in art, city trips and history – Check location Excellent location – show map Guests loved walking around the neighborhood! 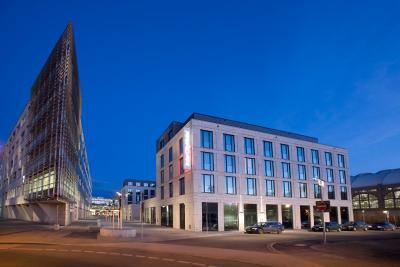 House Rules IntercityHotel Dresden takes special requests – add in the next step! 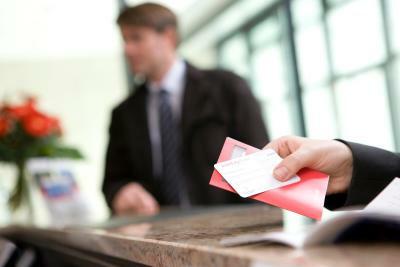 IntercityHotel Dresden accepts these cards and reserves the right to temporarily hold an amount prior to arrival. Please note that city tax is variable and is not included in the rate. Please contact the property directly for more details. One of the most picturesque neighborhoods in Dresden! The temperature control didn’t really seem to cool the room but the opening window did which was fine. The room was comfortable, if a little warm. There was a good choice for breakfast and the staff were friendly and helpful. Soap cans we're empty both near the sink and in the shower. 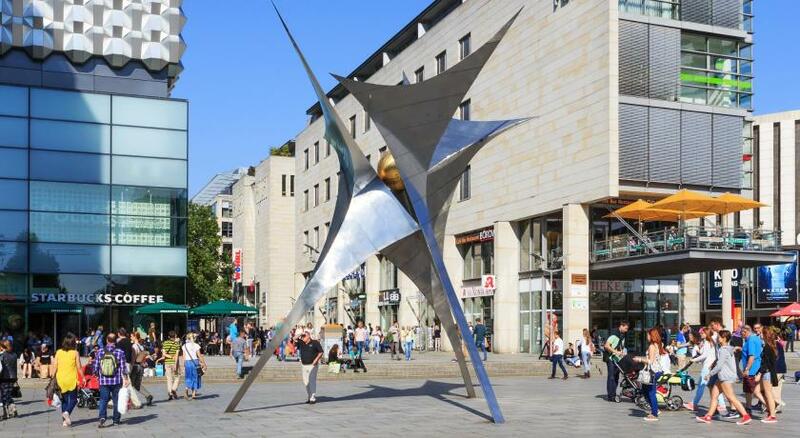 Clean, modern property about 3 minutes walk from Dresden Hbf. I arrived at 9 pm on a Saturday and the restaurant had already stopped serving food, which was a bit annoying. Excellent location - don't be put off by the proximity to the train station, it's very quiet. A free ticket is provided for local public transport, it's just a few stops on the tram into to centre of the city. Rooms are basic but comfortable and very clean, the bathroom particularly is very nice. The breakfast is excellent, both hot and cold options. There's a nice bar and restaurant. Staff are very helpful. I stay here at least on 5 occasions. Every time the service is excellent. Very good location just five-minute walk from the central station. The room is big, comfortable and clean. Very friendly and helpful staffs make the different when you stay here. Breakfast was very adequate. 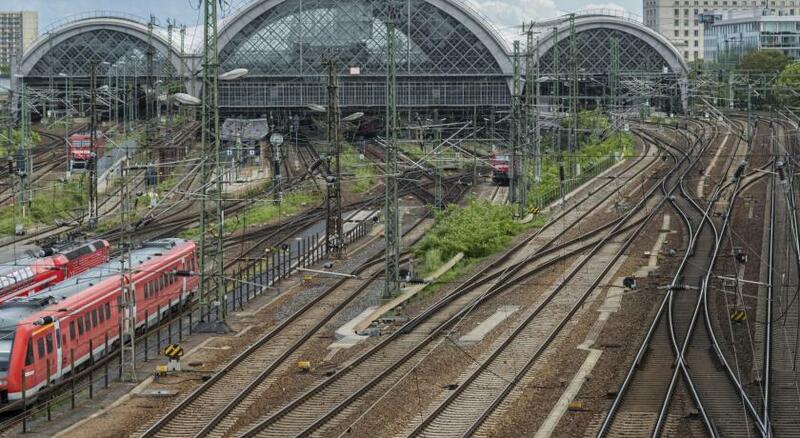 Location of hotel could not be any better - right outside of the Hbf station. Trams to all round the city are ideally situated. The wifi connection was excellent, the bed was comfortable, the room was a good size and the window was large making the room light. There was a magnifying mirror in the shower room in addition to the usual mirror. The location was ideal, next to the main railway station and a short walk from the old town. . Excellent location for a short business trip arriving & departing by train, just across the road from the train station. The complementary public transport pass provided is a nice touch too. Very comfortable room, friendly staff and a great breakfast.